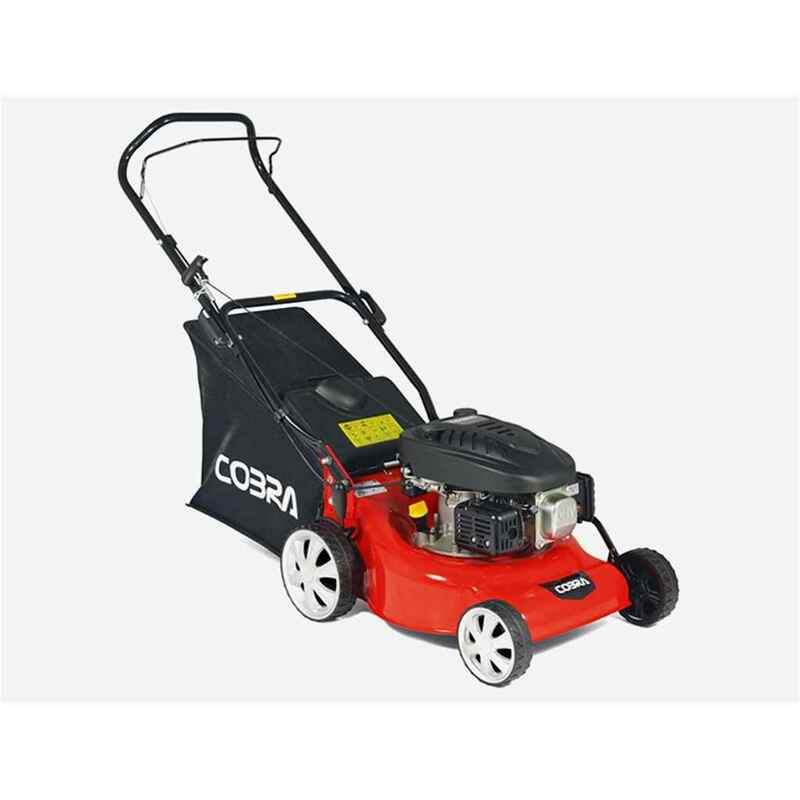 The Cobra 40cm Petrol Push Lawnmower combines top quality, excellent value and exceptional performance, and with its 40cm cut it is ideally suited to small to mid-sized gardens. 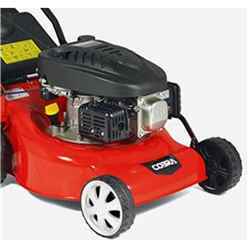 Powered by a Cobra DG350 Series OHV Easy Start 4 Stroke engine, it has a single lever height adjuster, with 10 different settings from 25mm to 75mm. It has a steel cutting deck for years of happy mowing and quick release folding handles for easy storage. It also comes with a 2 year manufacturers domestic warranty. 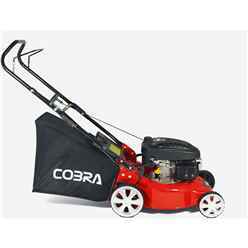 Working Width: 40cm / 16"
Cutting Width: 40cm / 16"